Let Your Beauty Shine Through! I got this product as part of an advertorial. 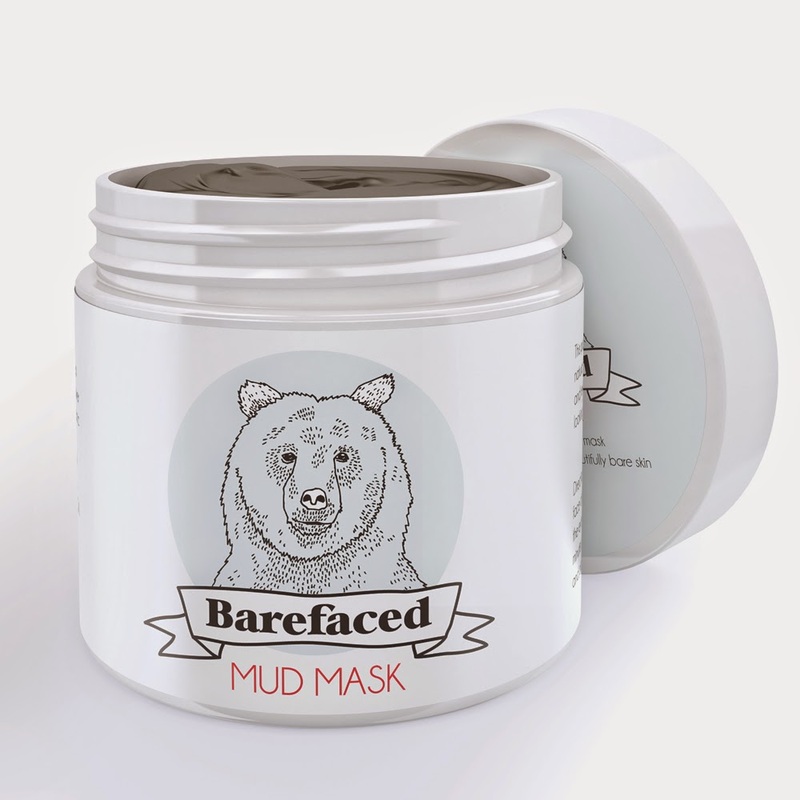 Barefaced Skincare is a Los Angeles-based company which produces an organic mud mask product at a USDA Certified Organic facility in California. 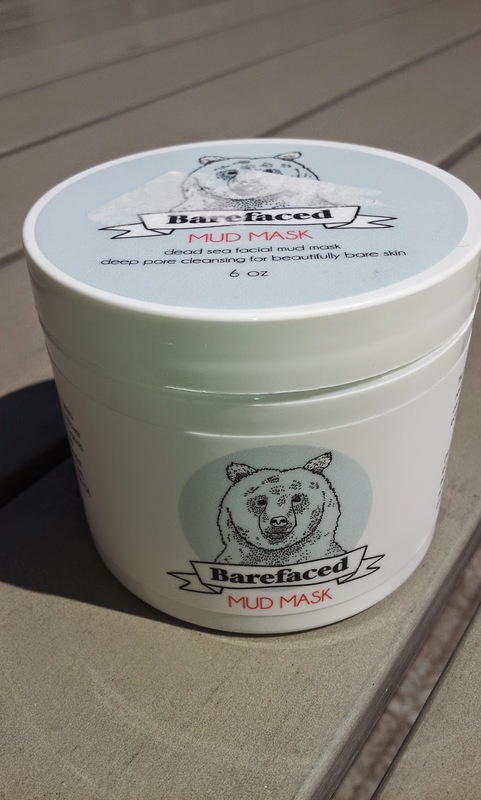 Their product is called Barefaced, you guessed it, Mud Musk! Its also a play on words and picture if you see their "bear" on the front of the jar. Pretty cute if you ask me! I was only able to try this product once since their instructions claim it should only be used once per week. I'm currently staying at a friend's place while I plan my big move back home. My friend's husband was away for a few days last week on a business trip, so one night we decided to try this mud mask out! I mean who wants to be seen all scary looking when not in front of your girlfriends! The mud mask looks similar to...well...mud but I would say it's more of a slate grey kind of color. The consistency is also not as gross as real mud. (Disclaimer: I've never gone "mudding." I know it's a thing but I've never done it.) I applied the mud mask and it went on pretty easily and didn't have a horrible chemical smell. Since all of the ingredients are natural the smell wasn't bad. After I put on the mask, I stepped out into the living room and my friend's puppy started barking at me. I think I scared her with my demon-looking face. I mean come on, no one looks normal when they have mud on their face. It started to dry fairly quickly and turned kind of hard when done. I couldn't really smile because my face muscles were stiff due to the mud mask drying. Both my friend Sarah and I kept the mask on for 15 minutes then rinsed it off in the sink with warm water. This is not a peel off mask so you will have to wash it off thoroughly. It came off pretty easy except on the sides of my face where I had to scrub a little harder. My face felt refreshed after using the mask and my nose, which is constantly clogged with sebum, felt much smoother and clearer. My friend Sarah felt the same way. Two thumbs up from me and this awesome mask! I plan on using the mask once a week. 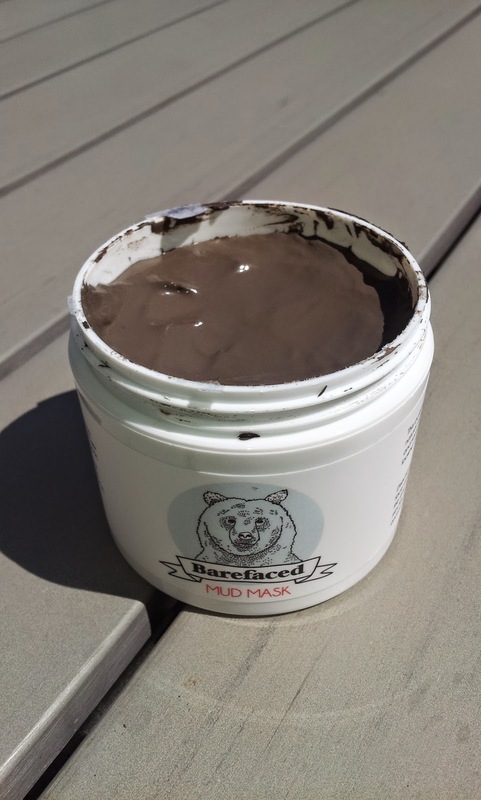 This mud mask is 99% natural with one ingredient that isn't natural. If you are into masks with mostly natural ingredients and would like to try playing with mud on your face, then give this a try! You will have a lot of fun doing it. Just try not to scare anyone! I love this! I am all for keeping my products as natural as possible. How to Stop Foundation From Oxidizing! Monday Madness: The Benefits of Maracuja (Passion Fruit) Oil!